We all have memories we want to hold onto forever, but few of us can put a whole lifetime of memories in a time capsule the way Jeff and Cindy Erding of Fillmore County have. The Erding’s recently completed a conservation easement on their naturally-significant property with the Minnesota Land Trust, which protects their land from future development and preserves the memories they’ve made on it – forever. By protecting their land with a conservation easement, the property is still owned by the Erdings, but future development is limited. 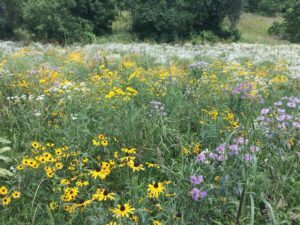 Beyond their memories, protecting the property has real benefits for the water quality and plants and animals of greater Fillmore County. Jeff and Cindy have seen the pressure that development can have on land around theirs, explored their options and decided on working with the Minnesota Land Trust to protect it. “As more and more landowners realize the benefits of protecting their land with a conservation easement, we’re making sure the waters and lands we all rely on will be here for future generations,” says Nick. 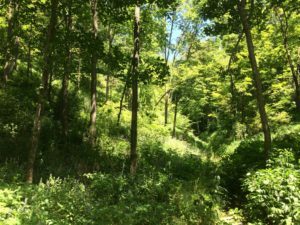 “By using a conservation easement, we’re also ensuring the land will stay in private hands, and that landowners will continue to pay taxes, recreate on the land, and be able to pass it on to their family in the future to enjoy as they have. Protecting the water quality and critical wildlife habitat of our state depends on the generous spirit of Minnesotans like Jeff and Cindy Erding, says Kris Larson, executive director of the Minnesota Land Trust. “By taking this important step to preserve this land forever, they are is ensuring that future generations have an opportunity to create the same memories on this land for years to come. 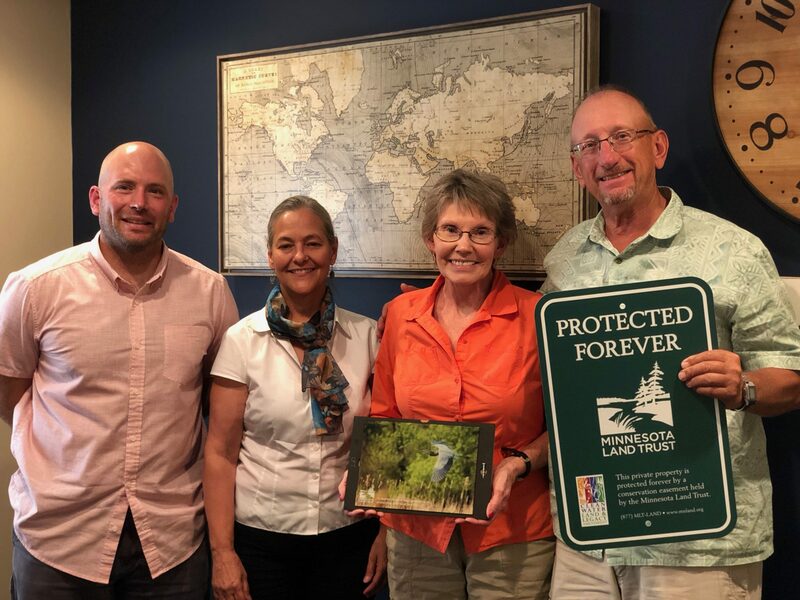 This permanent conservation easement was made possible thanks to the members of the Minnesota Land Trust, with funding from the Outdoor Heritage Fund, as appropriated by the Minnesota State Legislature and recommended by the Lessard-Sams Outdoor Heritage Council (LSOHC). Thank you to all our members and supporters, and most of all to Jeff and Cindy Erding who protected this unique property forever!